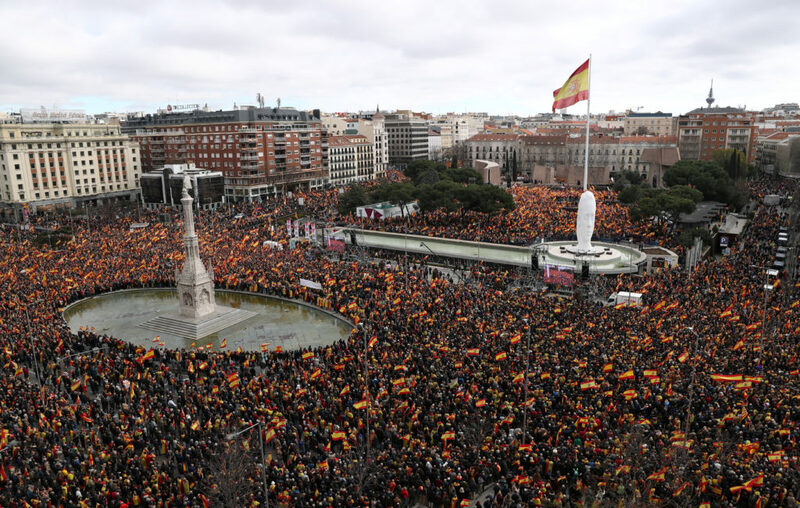 MADRID — Thousands of Spaniards joined a right-wing rally in Madrid on Sunday to demand that Socialist Prime Minister Pedro Sanchez step down. 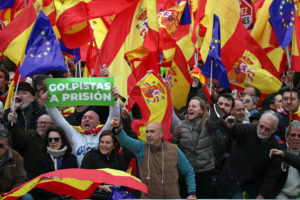 Many in the crowd gathered in the capital’s Plaza de Colon, waving Spanish flags. They chanted slogans in favor of the nation’s security forces and for Sanchez to resign. 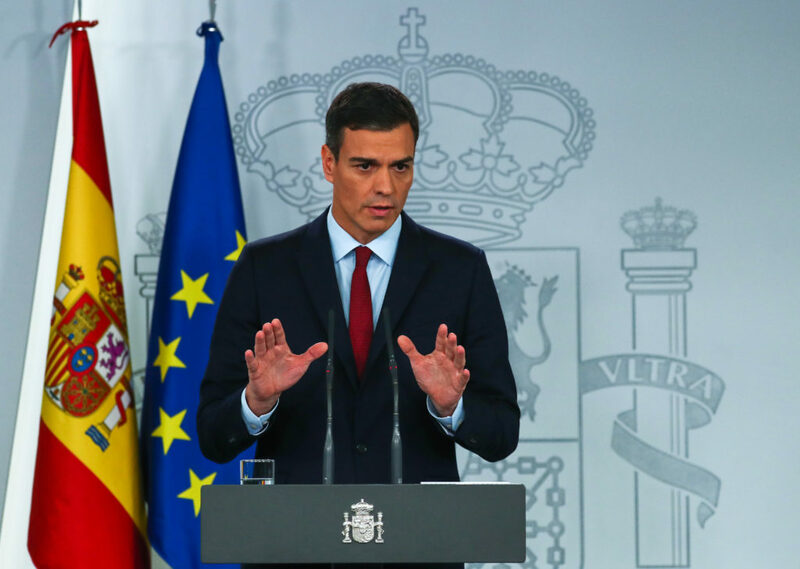 “The time of Sanchez’s government is over,” said Popular Party president Pablo Casado, who asked voters to punish Sanchez’s Socialists in upcoming European, local and regional elections in May. Sanchez inherited the Catalan crisis from former Prime Minister Mariano Rajoy, the then-leader of the Popular Party. Rajoy proved incapable of stopping support for secession from swelling in Catalonia to roughly half of the region’s voters.